Nearly a third of land in Alberta is used for agricultural production. There were over 40,000 farms in 2016 – only second to Ontario for provincial agricultural production in Canada. Alberta’s Land-use Framework acknowledges the importance of agricultural land to supporting Albertans but notes it will be difficult to expand the amount of land designated to agriculture. “While our population and number of activities on our landscape continue to grow, the size of our province does not. There are more and more people doing more and more activities on the same piece of land. We have reached a tipping point. What worked before will not work for our future. The time for change is now. We have the opportunity today to help shape the Alberta of tomorrow, but we must choose well. The Land-use Framework is about making the right choices now,” states the 2008 document. To help feed Albertans living in urban areas, there are new approaches for gardening and farming that contribute to meeting the local demand. Agriculture is dominated by large operations in rural regions, but urban agriculture popping up as a compliment to traditional approaches. Regional plans provide the vision for the future on a broad scale, but the recommendations can be applied to smaller scales – including urban agriculture. Alberta’s agriculture has not seen many changes in the past few decades, but a few trends are notable. Although the amount of land designated to agricultural production has not changed significantly, the number of farmers and ranchers has shrunk. The Land-use Framework notes that the average size of farms has gone up by 63 per cent over the past 50 years, but the total amount of land has not had a big change. The changes in farmland are notable nearby urban regions. For example, 4.3 per cent of agricultural land in the Edmonton-Calgary corridor was converted for development between 2000 and 2012. The provincial average for development of agricultural land was 0.8 per cent, according to a 2014 study by the Alberta Land Institute. The spectrum of locations of agriculture in urban areas. Some definitions of urban agriculture deem the commercial aspect to be a necessity – so private gardens are not included in the classification. In terms of municipal interests and management of urban agriculture, commercial operations are far different than backyard gardens. A researcher from the University of Waterloo noted that most people involved in urban agriculture tend to value food security and sustainability, so the commercial aspect is important for municipal planning but often not the primary driver for gardeners and farmers. Urban agriculture connects consumers with local food and offers opportunities to participate directly in the food system. Here are a few samples of initiatives taking place in Alberta. Starting in the 2018 growing season, Edmonton made vacant public land available to grow food and flowers for personal or non-profit use. Lots are up to 400 square metres and are located on utility lots, at the terminus of roads or alleys, alongside public pathways or small vacant lots that are just filled with grass or vegetation. Most of the vacant lots are small (around or under 200 square metres) and located in R1 communities. Citizens can apply to garden in a vacant lot for a fee of $100 per lot (in 2018) and as long as they are not growing for profit. The vacant lots are not prepped before – they are rented on an “as-is” basis. 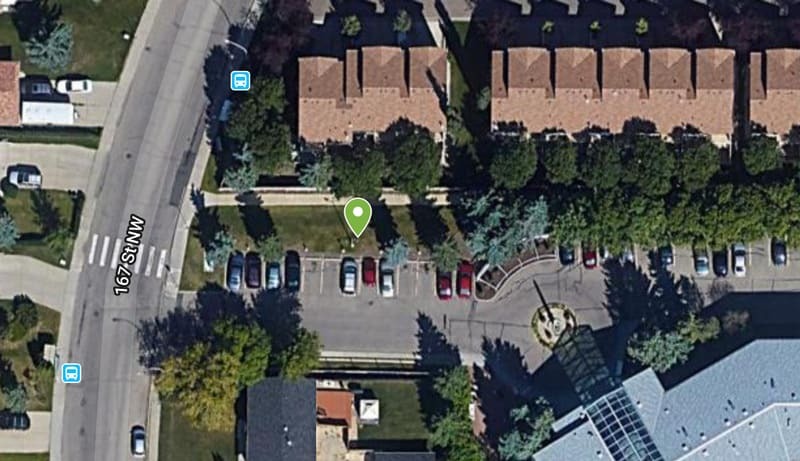 A vacant public lot in Edmonton that is available to garden. Located on the southern side of the Northlands events complex, the Northlands Urban Farm has vegetables, bees, hens and a tree nursery. This non-profit urban farm is run by Northlands and offers public tours. 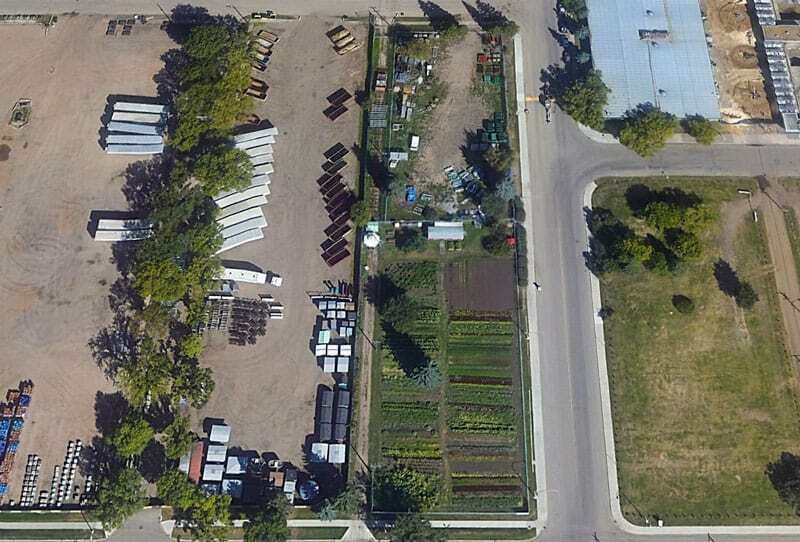 Another urban farming initiative in Edmonton takes advantage of underutilized private yards. Reclaim Urban Farm uses backyards, front yards and other privately-owned land in an exchange of a weekly harvest for the land owners. Canada’s largest urban farm was started in 2013 and is located in Calgary. 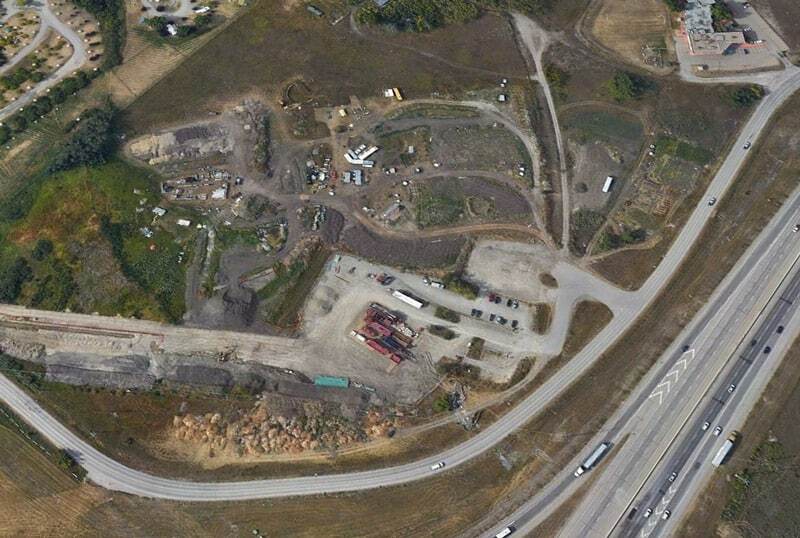 Grow Calgary manages an 11-acre farm on public land near Canada Olympic Park. The non-profit organization manages a team of volunteers that maintains the garden and harvests food for donation. The visions of regional land use plans have goals for agriculture, which can be a guide for smaller scale and non-traditional agriculture. Alberta’s Land-use Framework identifies the efficient use of land as a priority to reduce the impact of human activities. Identify areas where agricultural activities, including extensive and intensive agricultural and associated activities, should be the primary land use in the region. Limit the fragmentation of agricultural lands and their premature conversion to other, non-agricultural uses, especially within areas where agriculture has been identified as a primary land use in the region. Municipal planning, policies and tools that promote the efficient use of land should be used where appropriate to support this strategy. Employ appropriate planning tools to direct non-agricultural subdivision and development to areas where such development will not constrain agricultural activities, or to areas of lower-quality agricultural lands. The recommendations for agriculture in regional plans are intended for traditional agriculture, but the principles can be refined and scoped to be applicable to agriculture within urban environments. Edmonton and Calgary have both created plans for local food initiatives and urban agriculture. These plans set out the tools and approaches to create and strengthen local food systems. Current projects that are the product of the action plan include turning vacant public land into urban farms in collaboration with non-profits and pop-up food markets along transit routes. The weaker economy and its impact on food security is an additional challenge in meeting the goals of Calgary Eats! Edmonton developed local food strategy in 2012, entitled Fresh: Edmonton’s Food & Urban Agriculture Strategy. The strategy was created to respond to the growing awareness of the value of local food systems and agriculture within urbanized areas. “Municipal governments across the continent have begun to recognize the enormous opportunity provided by a more thoughtful consideration of food and its relationship to local community development. They are recognizing food and urban agriculture as an opportunity to increase the sustainability and quality-of-life of their communities and as a critical lever for achieving many other civic goals and objectives,” reads Edmonton’s strategy. The urban agriculture strategy recognizes that agricultural production is not often the main land use type in urban environments. Urban farms, gardens and other types of production make use of residential, vacant or underused sections of land within traditional urban land use types. Fresh identifies the primary role of land use plans for urban farming: provide certainty to the farmers and growers. In order to make investments into agriculture, farmers need to know that they can use the land for an entire season or over the course of multiple seasons. Land use plans are a tool to assure urban growers and farmers that contributions to local food systems are more than seasonal. Free online course available from the Land-use Knowledge Network.